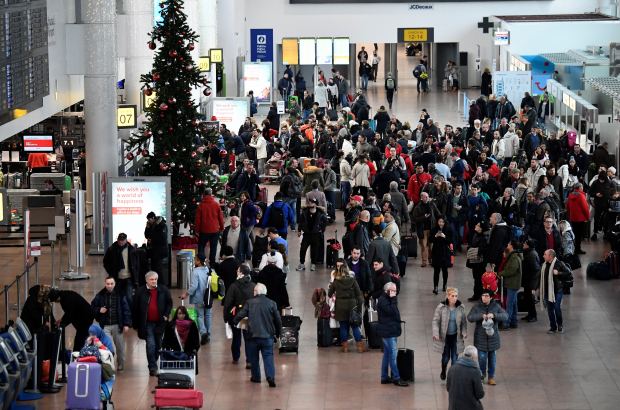 Many Belgian residents will be flying out today and over the weekend, either to go home for Christmas or on holidays during the two week school vacation period. The airport expects long waits to check baggage and at security. The Thomas Cook group, which includes Neckermann, said that there has been a sharp increase on the number of bookings this year compared to previous years. There are 15% travellers this year, it said, than last year. The most popular destinations are warmer climates such as Egypt, Morocco and Tunisia. Thomas Cook noted that not all the travellers responsible for that figure are Belgians: Twice as many Germans, French and Dutch are booking to fly out of Brussels Airport than last year, it said. This has helped the airport along to a record year: This morning, the airport services its 24 millionth passenger, the first time that threshold has been reached. The last record was reach in 2015 when the airport saw 23.5 million come through.